Marine weather plays an important part in a fishing trip. Often local marine weather forecasts are unreliable. Why not put PredictWind’s Free Forecasts to the test on your next fishing trip. PredictWind will help you plan ahead and decide which of the favorite fishing spots is likely to be better due to wind, wave and tide forecasts. Often local marine forecasts are conservative and report the expected maximum wind speed over a large region. With a PredictWind forecast map you can see the whole region, and know exactly where to expect the areas of high wind speed to help plan your fishing trip. The PredictWind Basic Package is great entry level package for those not venturing too far from home, but want the most accurate fishing marine weather forecast available. 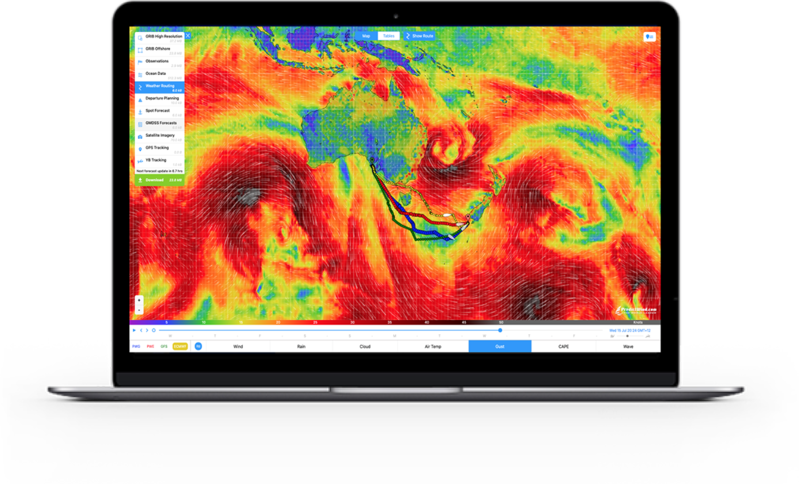 The wind speed and direction graphs utilise the most accurate 1km resolution forecast, and although you cannot see the 1km resolution maps, you can view the general weather situation with the 8km resolution maps. You can view the Sea Surface Temperature Maps, for your local area so that you can pick the differences in temperature and likely areas for great fishing. These maps are derived from real time data from observations and satellite data and updated every 6 hours. The PredictWind Standard Package is suited for coastal fishing trips, where you want to see how the marine weather pattern will vary over the whole area. How close are the strong wind areas? Where are the best places for fishing and shelter? Where are the best overnight anchorages? What is the best time to depart? You will be surprised at how viewing a wind weather map will help you plan your trip with confidence. Use the Free Offshore App to automatically download and view the Predict Wind 50km resolution GRIB files and display in your navigation package. This tool is ideally suited for retrieving the forecasts over slower wireless internet connections and will ensure you always have access to the forecast when there is no internet connection available. In addition get access to weather routing, GMDSS text forecasts and Satellite Imagery. You can view the Sea Surface Temperature Maps, for your coastal trip so that you can pick the differences in temperature and likely areas for great fishing. These maps are derived from real time data from observations and satellite data and updated every 6 hours. You will have also have access to the PredictWind Mobile Service, so you can get the latest text forecast on your mobile phone at no extra charge even if you don’t have access to your computer. PredictWind can provide a 14 day marine fishing forecast using the 50km resolution model for any region in the world. When offshore and away from land effects, it is not necessary to get a high resolution forecast. However you can be assured to get the best forecast available using the same technology that is used to generate the high resolution forecasts. The reduced smoothing in PredictWind’s weather model you will allow you to see wind features that are not picked up by other weather models. In addition we use two data sources for the weather model, to produce dual forecasts for comparison. The closer the wind forecasts, the more confidence you can have in the accuracy for your comfort and safety. Use the Free Offshore App to automatically download and view the Predict Wind 50km resolution GRIB files. 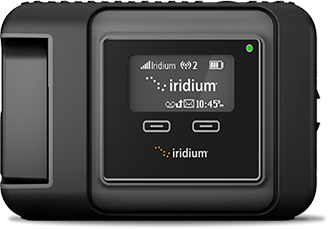 This tool is ideally suited for retrieving the forecasts over slower wireless internet connections and will ensure you always have access to the forecast when there is no internet connection available. In addition get access to weather routing, GMDSS text forecasts and Satellite Imagery. The Professional Package now includes the world’s first online weather routing. Watch the video on Weather Routing. Simply drag the start and end waypoints on the map, and the PredictWind server will calculate thefastest route or the most comfortable route for your boat using the high resolution 1km-8km or 50km wind forecasts. The comfortable route allows you to avoid motoring in strong winds and large swells. You decide your tolerance level, and the PredictWind routing algorithm will do its best to avoid these areas. You simply need to define your boats’ polar and the optimal path is calculated for both PredictWind forecasts, the NOAA GFS forecast and the Canadian CMC forecasts. The routing algorithm is also clever enough to avoid the land, right down to a 20m resolution level. So now you can can accurately see your optimal route for fishing trips – for Comfort or for Speed. Whilst offshore, getting access to the internet is expensive with satellite communications, and email size is limited with SSB radio data services. PredictWind has the ultimate solution for this problem – The Offshore App is ideally suited for offshore yacht racing allowing your to request weather routes via email. The file size is only 1.5KB, and therefore your communication costs are minimal and the results are quick to download. The optimal route is calculated with the highest resolution wind, swell & ocean current forecasts. We pretty much run our business by it, as it’s very accurate. Before we were using PredictWind, we found we were driving to a location on a good weather window and the weather would be rubbish. When you are talking 2 trucks, 2 boats, and 5 staff it starts getting expensive when you aren’t even getting on the water. We have just built a multi rotor—it’s taken us a couple of years, but it’s an incredible piece of machinery. We use the forecasts for this, as flying in strong winds isn’t good, so we book work around the site for days we can fly. Our underwater camera man captures fish in their natural environment, so he is using it also on a daily basis, and then the filming crew, Nathan, and I, use the site to find weather windows up and down the country and it plans our fishing time table. PredictWind would have paid for itself 10 times over for us, and it pretty much decides the days we film.